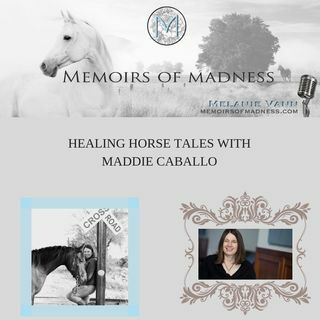 Join host, Melanie Vann and speaker Maddie Caballo as they discuss Maddie's journey of healing from ritualistic abuse. Suffering from C-PTSD, Maddie has been able to overcome her struggles and become a speaker, coach, and advocate for others. Maddie Caballo is an Education/Equine Facilitated Learning Specialist with over 25 years of experience working in the field of education. She has developed curriculum, specialized in accreditation, and assisted over 12,000 students to reach their ... See More personal goals. Through her own trauma recovery work, she discovered the powerful experience that occurs when you take the learning to the paddock with the horses. The combination of her education experience with her training in equine facilitated learning creates a powerful learning opportunity for clients.